1515 Horse River Ranch Rd. Fantastic price on this 35 acre Horse River Ranch Lot with wonderful views or Carbon Peak and the Anthracite Range up Ohio Creek Valley. No sage brush here, just lovely hay meadow. Prced well below market value for quick sale. 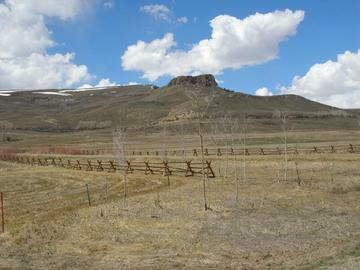 Bring your horses and build your Rocky Mountain dream home. Skiing is just 30 minutes north and access to BLM is practically out your back door. Call today to find out more. Owner financing available 1% below banks.